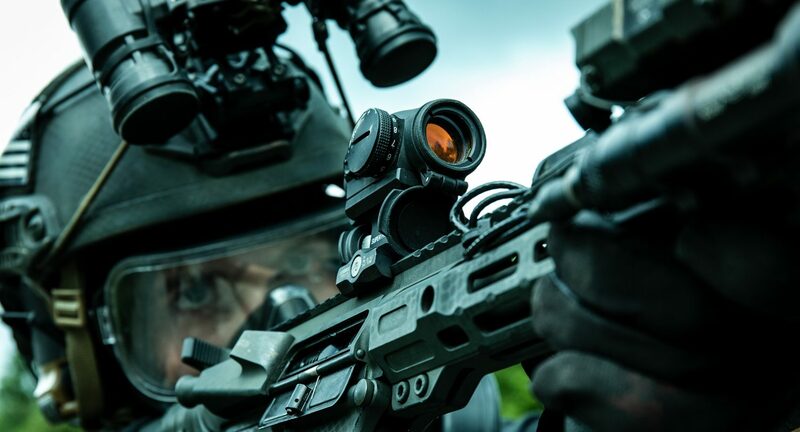 The Aimpoint series of red dots are some of the most proven optic systems on the market. The T2 is no joke. 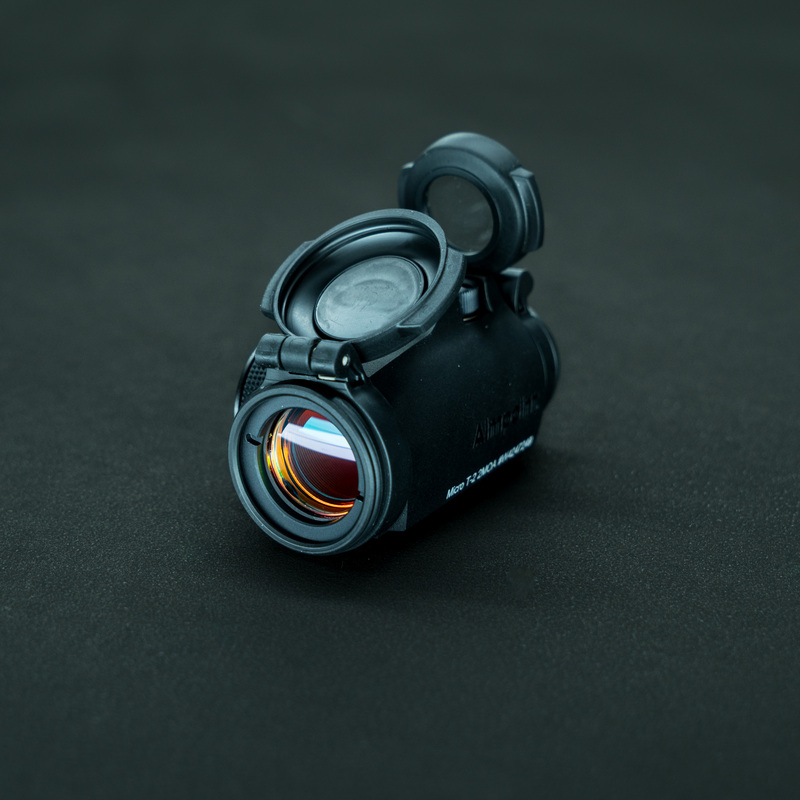 Extremely durable, excellent battery life, night vision compatible, and with lots of brightness settings so you can adjust for visibility in varied light conditions, or dim for longer-range engagements requiring greater precision. Does NOT include a mount. 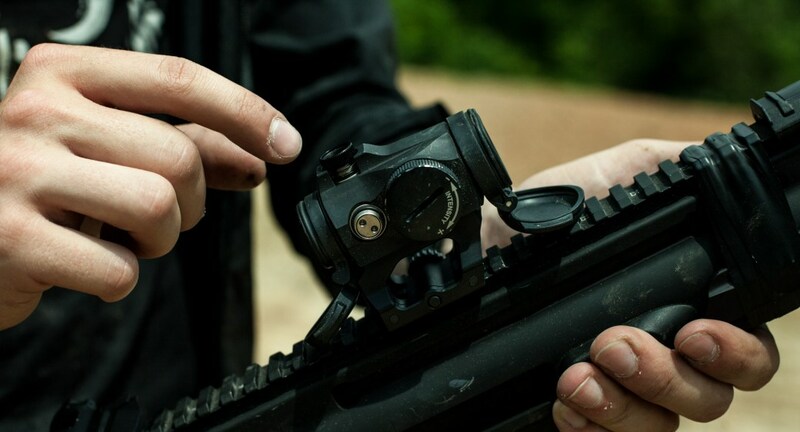 We recommend the Scalarworks LEAP to mount this optic. 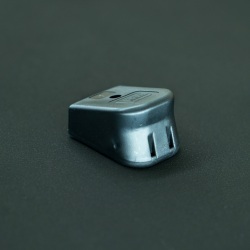 Runs on one CR2032 Lithium battery (included). Battery life according to Aimpoint: 5 years (50,000 hrs) of continuous use at pos. 8 and over 10 months at pos. 10. In our experience, it is best to leave the T2 set on 11/12 for optimal use during the day. 9/12 is good at night. 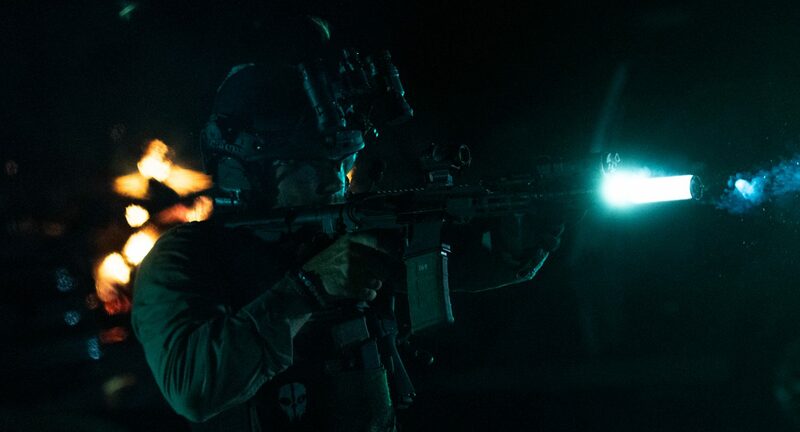 Keeping it bright-ish is important if you’re running a weapon light (you should be) which can wash out the dimmer settings. Count on changing the battery at least once a year if you follow this SOP. Weight 3.7 oz. 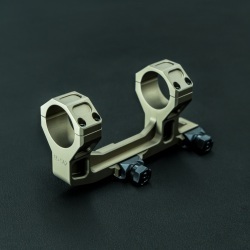 (105g) including mount, sight only 3.0 oz. (84g). 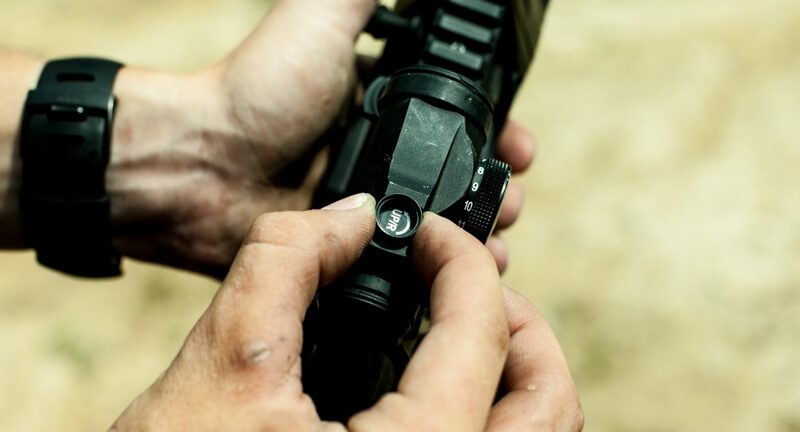 1 Off position, 4 night vision compatible settings and 8 daylight settings – one extra bright for use with laser protection glasses or in bright desert sunlight. ACET technology allows 50,000 hours (over 5 years) of constant operation with one CR2032 Lithium battery. Submersible to 80 feet (25 meters). Why should I buy a T2? It’s so expensive! It sure is. 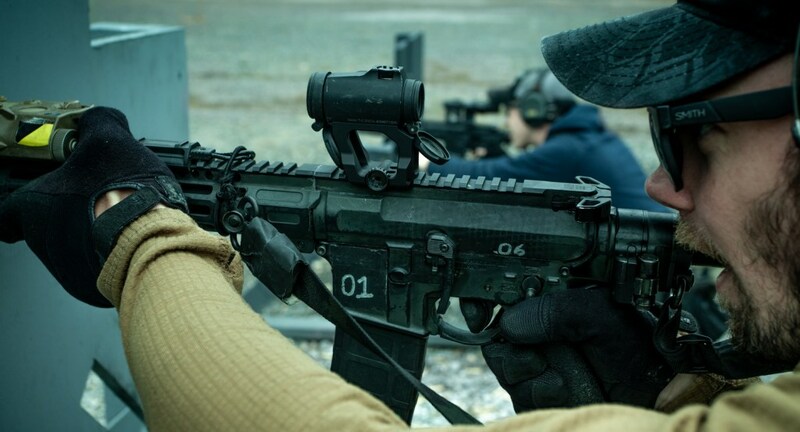 But it’s one of the most reliable optics on the market. 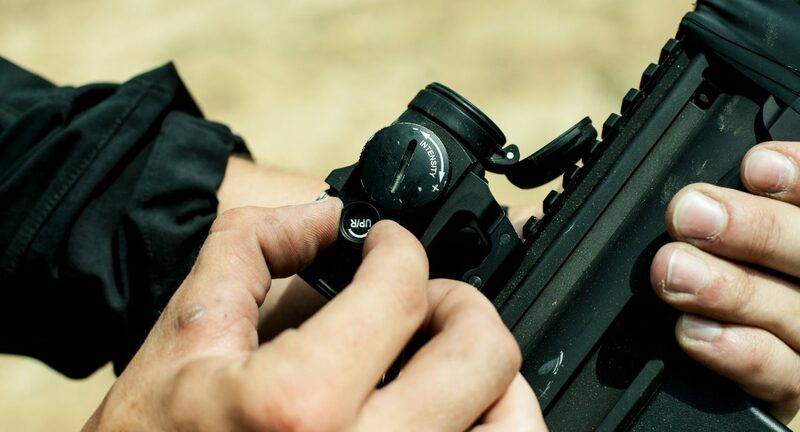 If you think about it, the quality of your sighting system on a rifle should be a major priority. It’s literally how you shoot things. 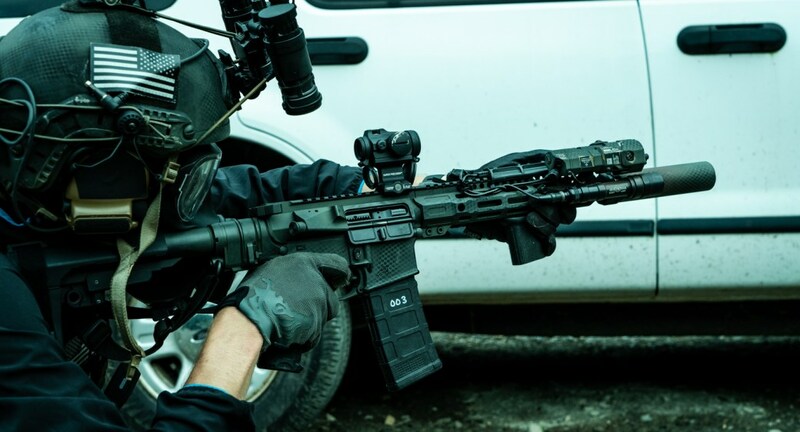 It’s astonishing to us when we see people drop $1500 (or more) on a rifle, but then stick a $90 optic on it. That is not effective management of the tools at hand. Yes, many of those $90-$200 optics work out-of-the-box, but how will they function after a high round count? Or getting hit if your rifle takes a fall? Will it hold zero? 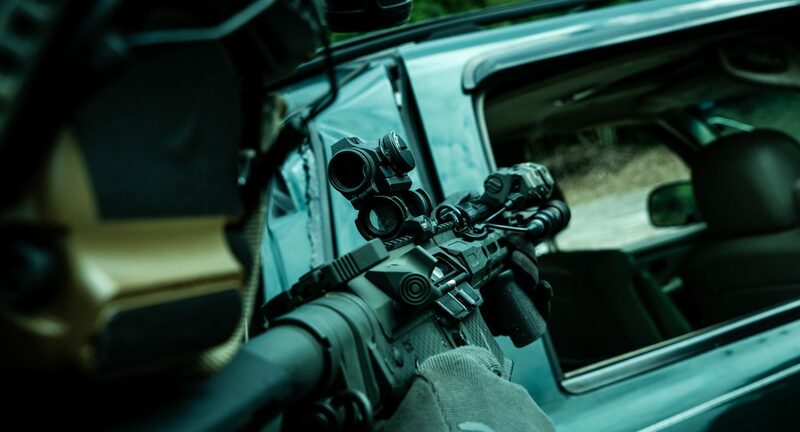 The last thing you want is a sighting solution that you can’t rely on. After all… it’s literally how you shoot stuff. And the T2 is as reliable as they come. I hear people talking about how small the FOV is on the T2. Is it an issue? In our opinion, not really. It all comes down to training. 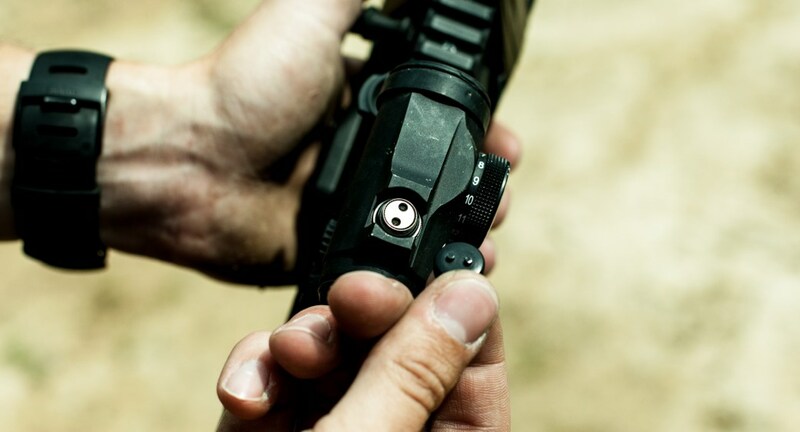 For a right handed shooter, your right eye will pick up the optic/reticle. Your left eye sees past the weapon at the area you’re shooting into. Your brain essentially overlays both images together. 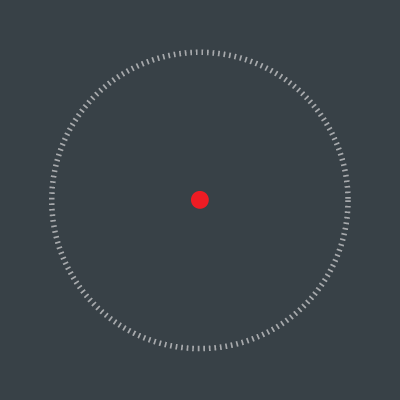 So you’re still seeing everything around the target with your left eye while your right eye picks up the reticle. At that point, FOV doesn’t matter that much. If you were only shooting with one eye it definitely would. How fast can you shoot a T2? A simple standard for us is to achieve a single head shot in under 0.50 from low ready on a USPSA target at 5 yards (5″x5″ hit box). 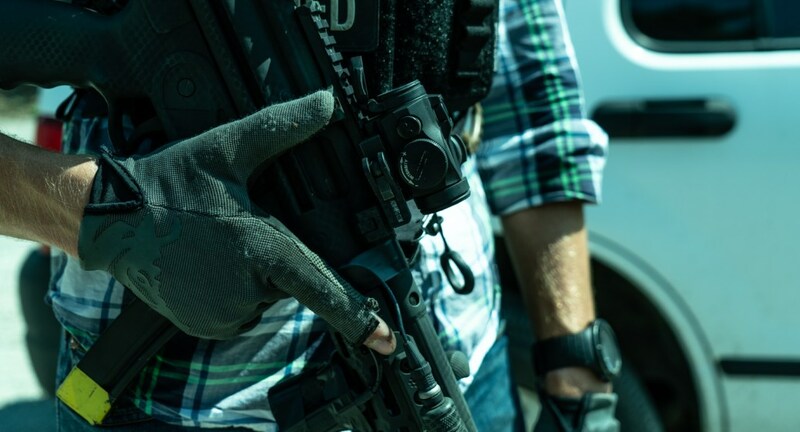 We shoot this same standard with EOTechs, Razors, Vudus, etc. 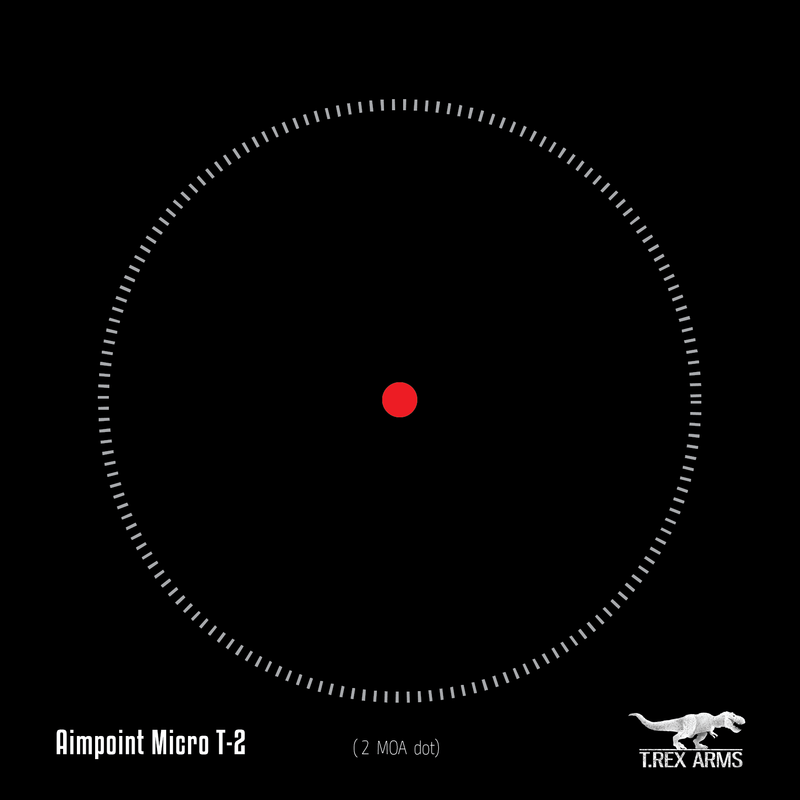 With training it’s very easy to pick up the 2 MOA dot while moving the gun fast. Should I leave the optic powered on? In our opinion, yes. 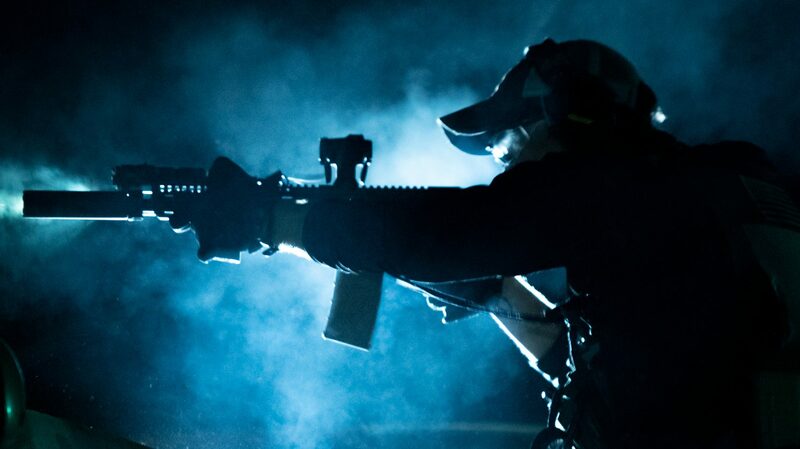 If your rifle is a dedicated home defense gun, counter-active shooter setup, yep. The battery will last about a year on the higher settings that are daylight visible. A few bucks for a new battery is worth it for an optic that is on 24/7. 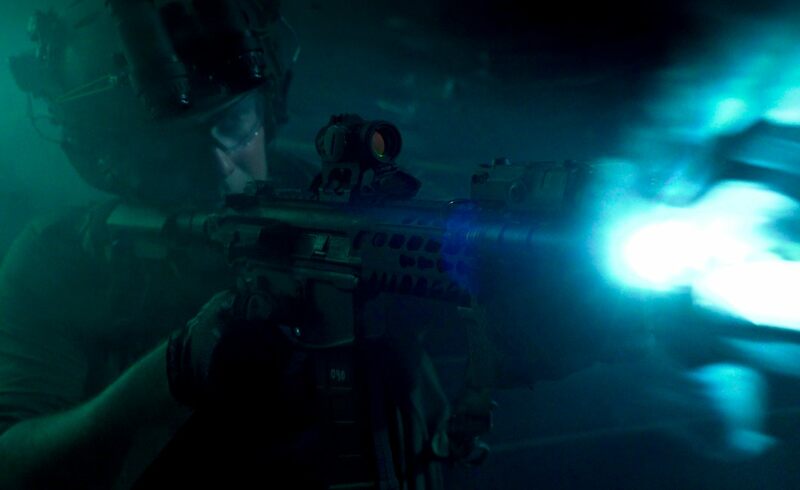 No worrying about turning it on when you go to grab your rifle. 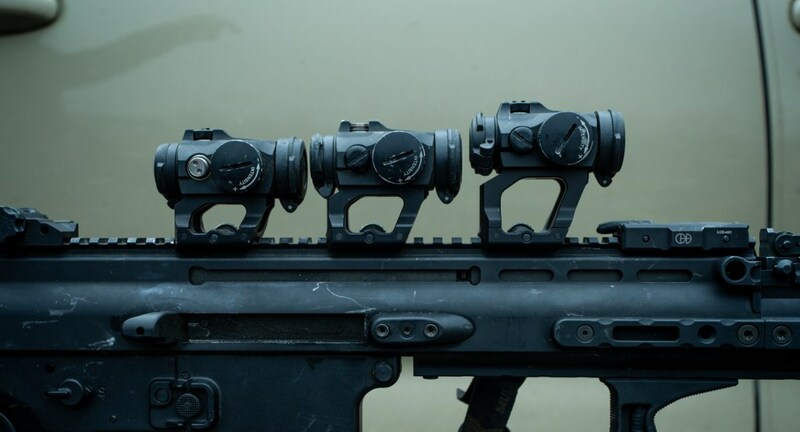 From left to right: absolute co-witness, lower third, 1.93 Scalarworks LEAP mounts. Mounted to an absolute co-witness Scalarworks LEAP. T2 on a 1.93 Scalarworks mount. T2 on a Geissele 1.93 mount. 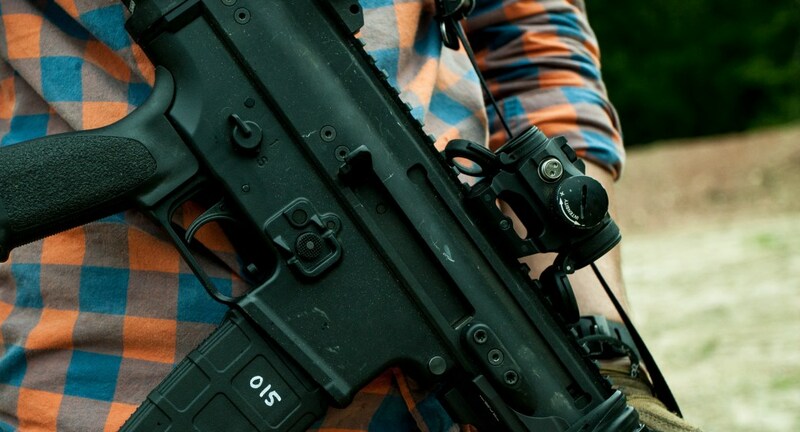 Mounted to a 416 upper. 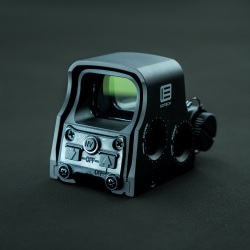 The Eotech G33 magnifier works great with T2s. 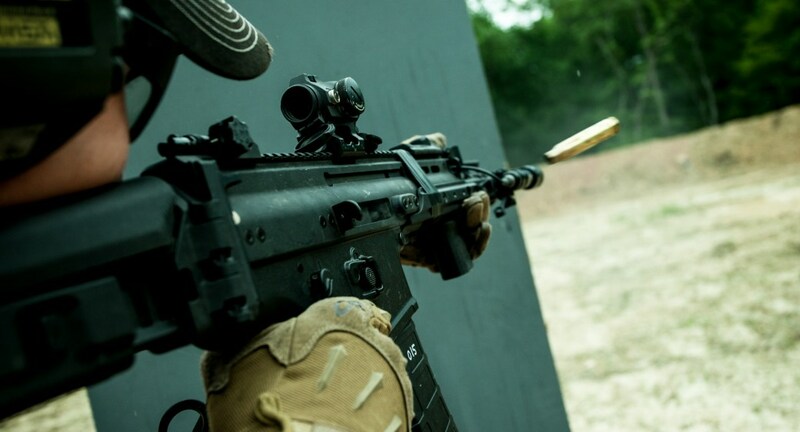 Mounted to a lower 1/3 Scalarworks LEAP versus a Eotech EXPS3. 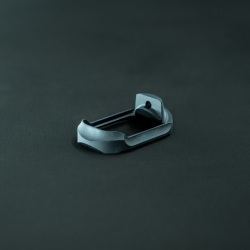 The windage/elevation caps are used to zero the optic.